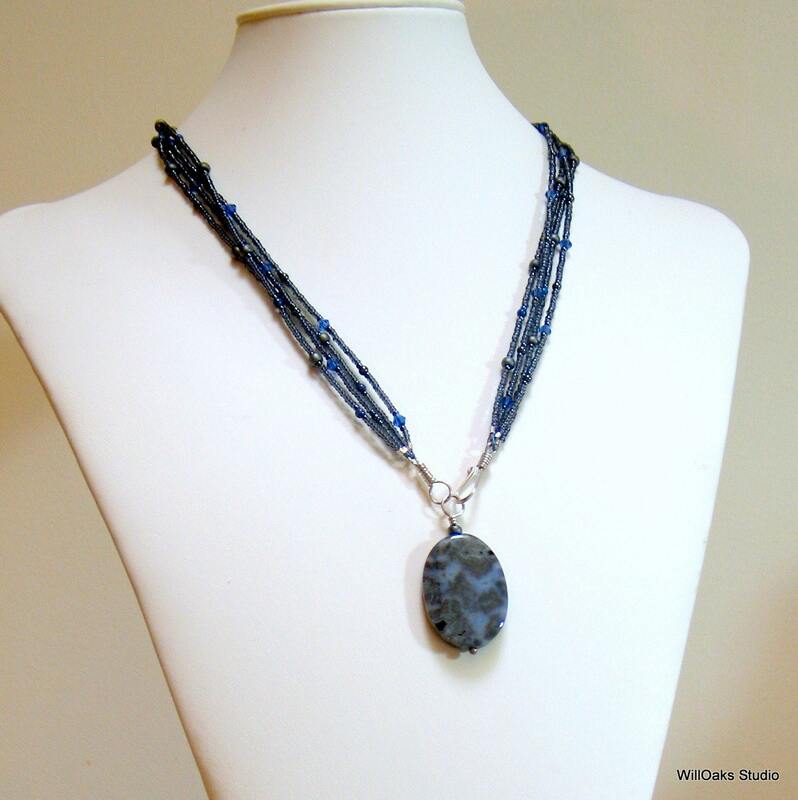 A large polished Blue agate pendant with gorgeous shades of different blues and grays is the focal point of my original necklace. It is about 1 3/8" long by 1" wide. And easy to wear with a hook in the front. 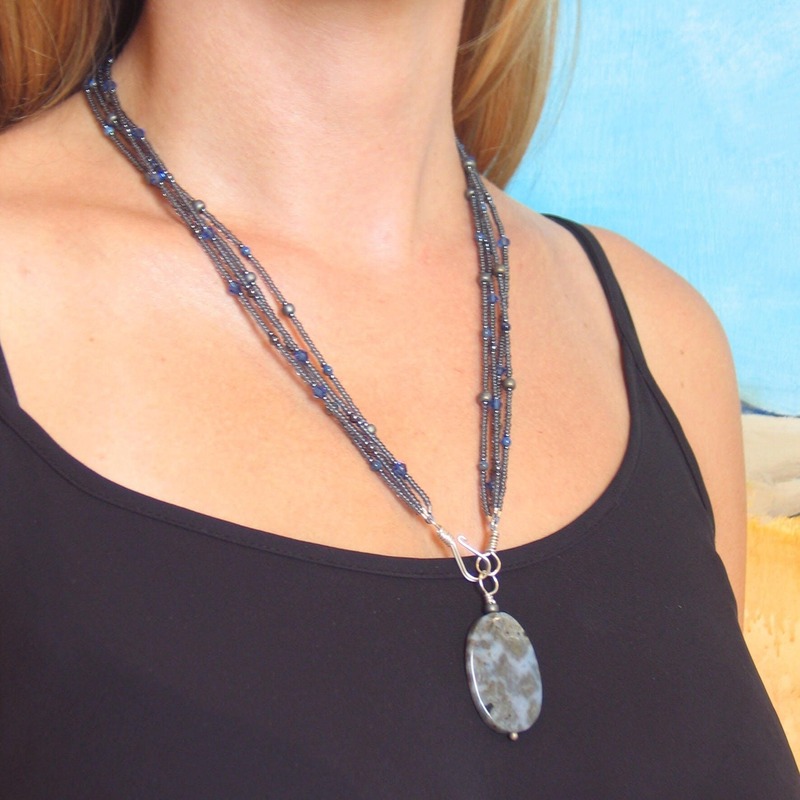 The pendant hangs from a 4 strand beaded stone and glass chain. 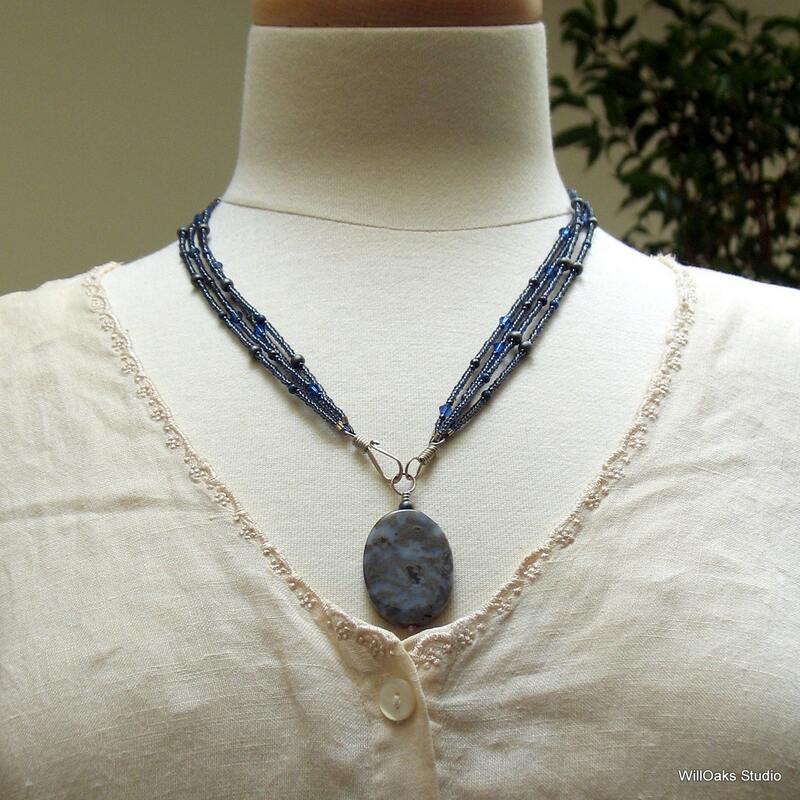 The 4 strands use Czech glass bicones crystals, Czech glass seed beads, hematite beads and tiny denim lapis stone beads, all selected to complement the pendant. My original chain is almost 21" long. 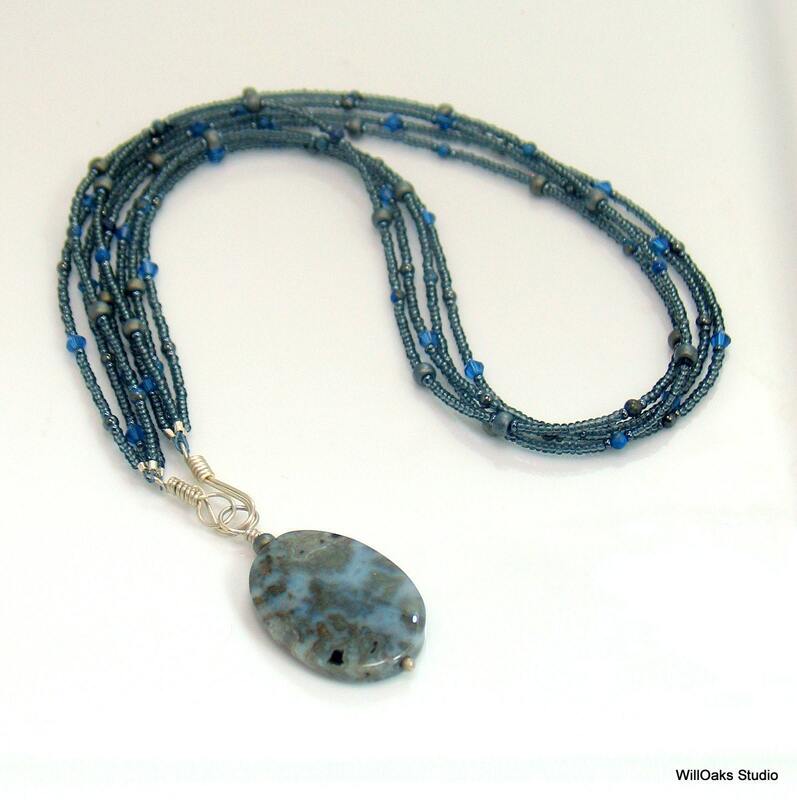 It can be worn a little shorter, with a different look, by twisting the multiple beaded strands before closing the hook. A special sterling silver link and clasp, handmade, brackets the pendant and closes the necklace IN FRONT with a nice sized hook and eye that's so easy to use. 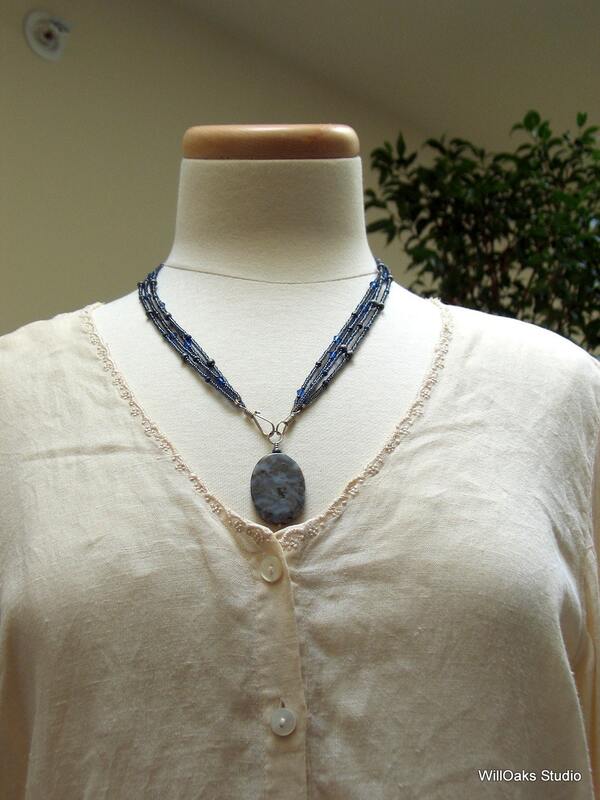 This is a great design for folks who struggle with necklace clasps that close in the back! The pendant dangles about 2" below the chain. 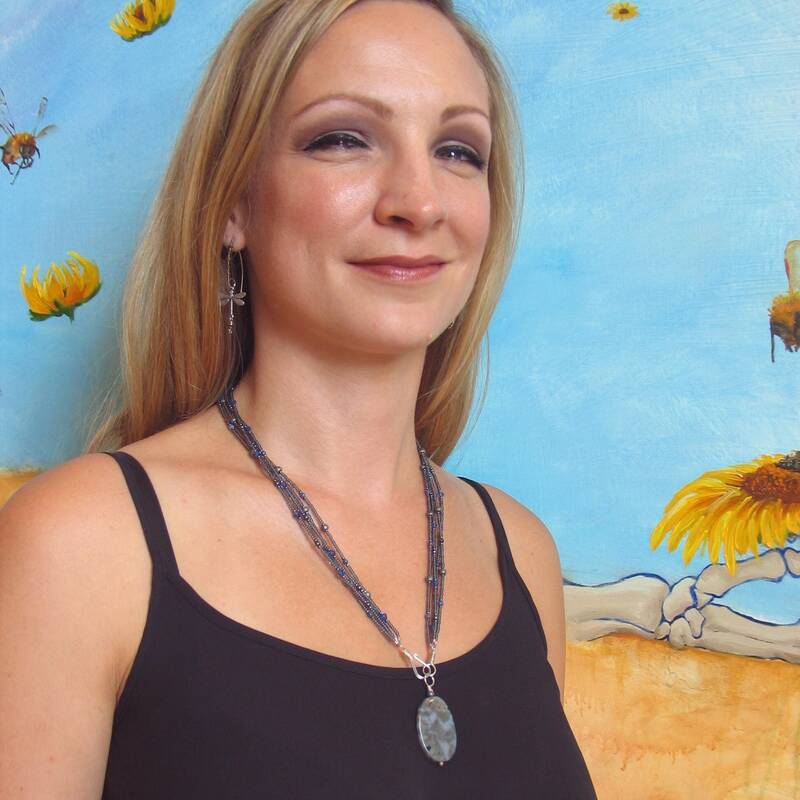 Perfect for a woman who appreciates easy to wear, original art jewelry and amazing natural stones. Ready to mail in my signature gift box, and all ready to give or to keep. Shipping includes insurance. Please keep in mind that although colors are photographed in natural light, colors on different monitors may be variable. 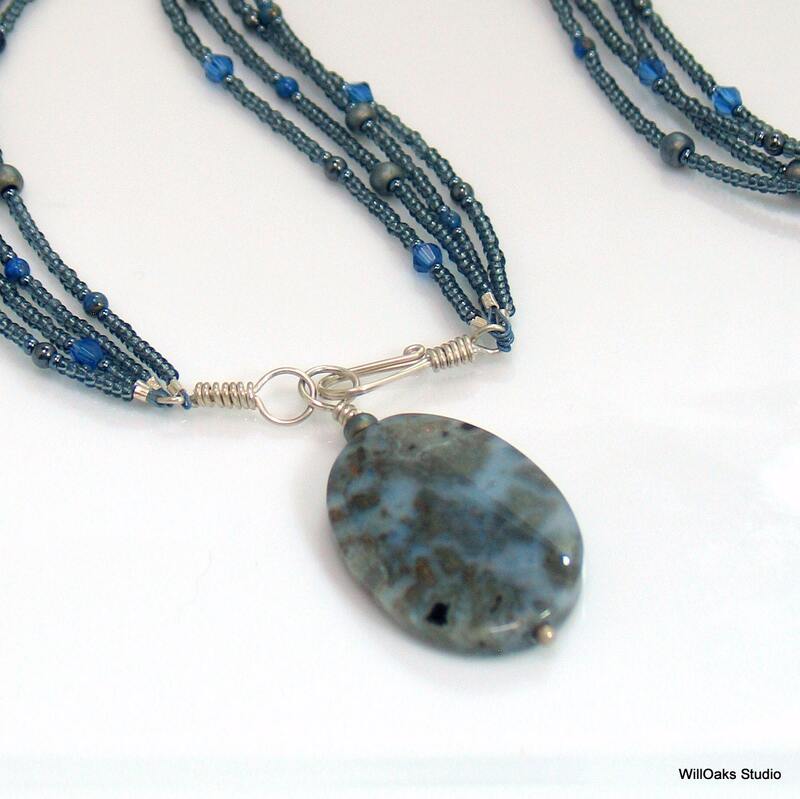 Other necklaces are listed here https://www.etsy.com/shop/WillOaksStudio?=7593416 and many other original art pieces can be discovered in my shop here https://www.etsy.com/shop/WillOaksStudio? Any questions or comments, please contact me here via convo. Thanks for visiting!